A delegation of about 100 Poor People went to Capitol Hill 5/21 to open the public demonstration phase of the Poor People's March. They attended committee hearings in both the House and Senate. 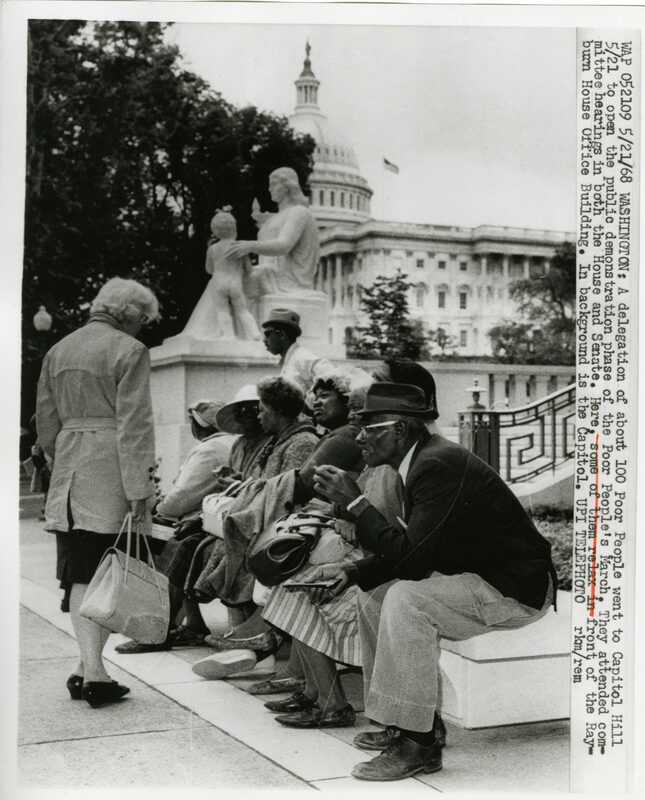 Here, some of the relax in front of the Rayburn House Office Building. In the background is the Capitol.